Innovation challenges tradition. It can be unsettling and uncomfortable. It requires a willingness to try new things alongside the readiness to recognize that not all new ideas are better. The hope of innovation must be tempered with the knowledge of the harm failure can do. In organizations that have important work to do, work that others depend upon, it is even harder to experiment. When political ideology turns innovation from a process of exploration and learning into a crusade, the danger of that harm is even greater, and the benefits are lost. Need a case example? Consider the field of education. Ensuring high quality public education means keeping schools, teachers, and curricula current in an ever-changing and expanding world. 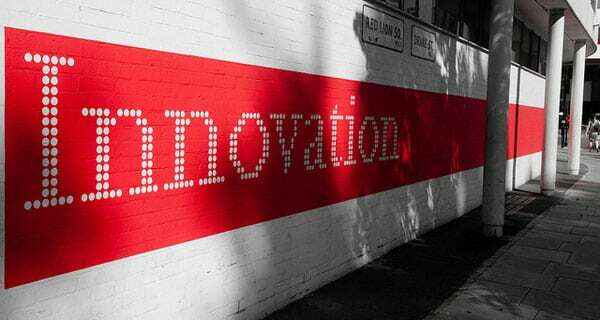 A year of learning is irreplaceable; while effective innovation can increase that year’s value, a failed innovation is an irreparable loss. Seeking to provide safe space for educational innovation within the public education system, educators suggested school districts create charter schools as laboratories that would allow a wide range of educational innovations to be tried and evaluated before moving to wider adoption. Advocates said charters would help schools manage the difficult balance between risk and reward that innovation poses. This was school reform in the 1980s: cautious innovation within the framework of an established community structure. This was also a national moment when, according to Joanne Barkan, whose writing Valerie Strauss published in the Washington Post, the belief that “choice, competition, efficiency, and downsizing government” were the way to bring progress began to push its way into public education. Over three decades, ideology has overwhelmed innovation, and the benefits are being lost. When ideology can attract the resources needed to support its spread, the mix is powerful. In the current moment, growing mega-wealth, Barkan observes, crossed that line. Market-based reform never became a grassroots movement. It attracted elites: billionaire philanthropists, private mega foundations, finance and high-tech entrepreneurs, politicians at every level of government, business leaders, media figures, and think-tank associates. The players have been overwhelmingly white; their methods consistently top-down. Notably missing have been teachers, school administrators, parents, and students. With enough fuel, the reform fire has burned brightly and is hard to dim. NPQ recently found this when it looked at decades of investment in educational reform by the Bill and Melinda Gates Foundation. Many organizations, faced with little proof that their goals were being reached and a high degree of external opposition, would shift focus here. The Gates Foundation saw this as a spur to refocus and manage the political environment more effectively. Using more than $44 million in new grants, the Foundation continued to support organizations that could serve as policy experts to state policymakers and others who could change the public’s perception of the preferred solution. Increasingly, growing a market and maximizing choice became ends in themselves; beliefs masked results. The hope that a vibrant educational market would help all children and accomplish the social benefits needed from public education blinded liberal and conservative supporters to a different reality. Despite evaluative research indicating no across-the-board benefit from the reform agenda, particularly for those children at greatest risk, the effort to rebuild all public education in this reform model has continued. Barkan notes the reality of the market is quite different: “In this marketized system, competition would, theoretically, eliminate low-performing schools because they wouldn’t attract enough customers to stay in business. In the real world, the poor buy necessities at a price they can afford even if the quality is inferior. This is why the free market has always failed to meet the real needs of low-income people; they get what they can pay for.” This is the human cost of innovation run amok. Another cost is that real innovative benefits of reformers’ efforts are at risk of being lost. The original model of charter schools was that they would provide a laboratory for safe experimentation. Positive outcomes could be harvested and then planted more widely within the greater public system, benefiting many more children. But, in the face of the ideological purism of many reformers, opponents also become absolute, and cannot see those benefits.